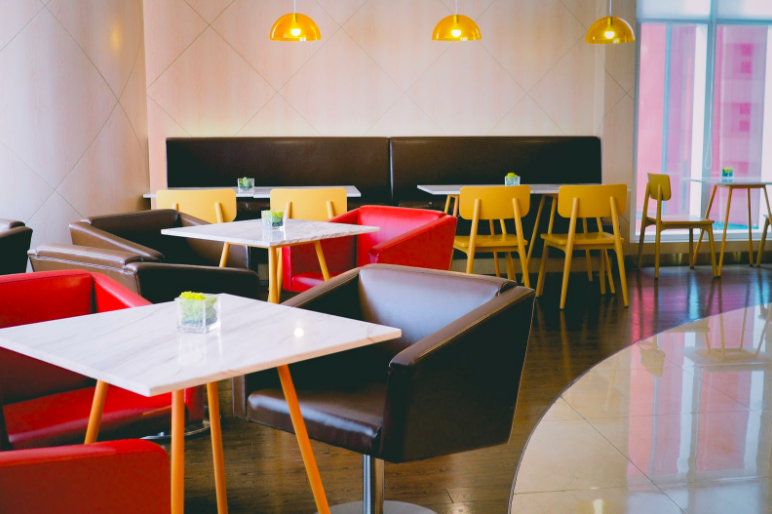 Restaurants and expansive hotel lobbies can be often be very noisy when there's a crowd, and individual voices are overly amplified if there is no background noise. In a nightclub, lively background babble might be desirable, making a space feel inviting and full of energy. In a formal dining room, however, noise from the kitchen and overheard conversations are not in the least pleasant. In a hotel lobby, there is a need to maintain privacy and confidentiality at the check-in desk, as well as the expectation of quiet conversations in other areas. It is vital to control ambient noise levels and create a warm, welcoming vibe. 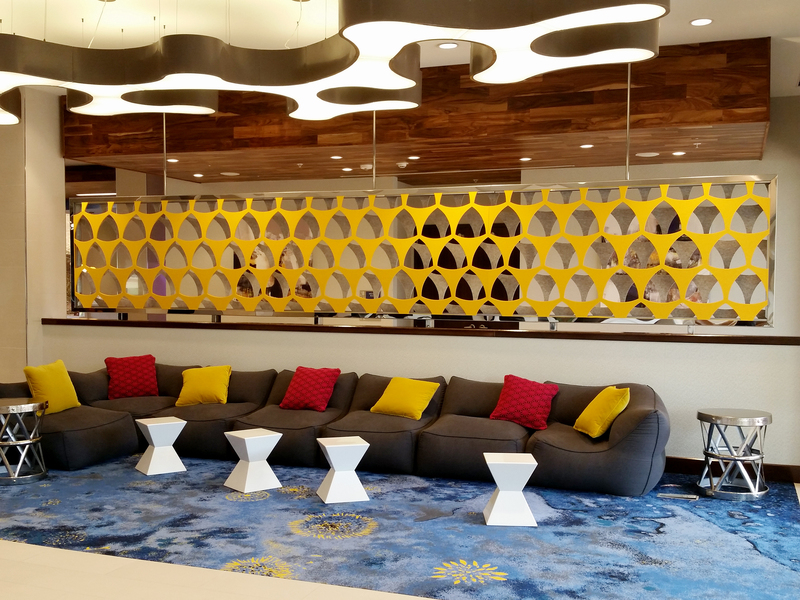 What follows are a few guidelines to keep in mind when designing for open areas like hotel lobbies, so that your guests and visitors are given as warm (and acoustically sound) welcome as possible. 1. Think acoustics first - not last. Proper sound control not only reduces unwanted sound transmission, but also improves sound quality. It should not be an afterthought, and modern sound control can be aesthetically pleasing as well. 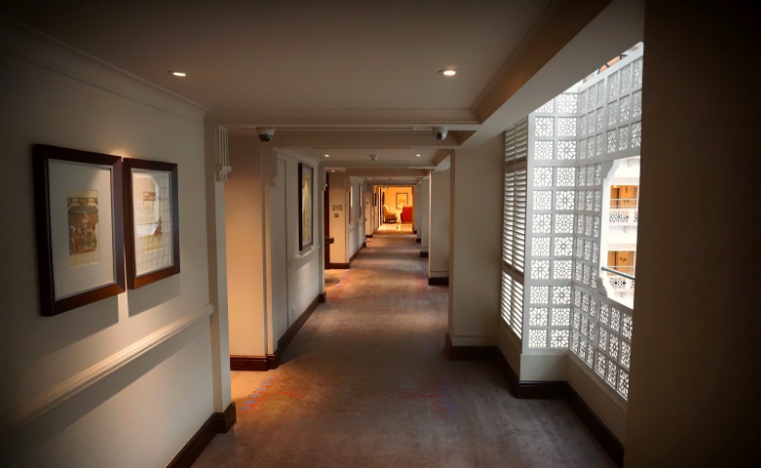 A pleasant hotel guest experience relies heavily on you, the designer or architect, to incorporate acoustic planning into your early design discussions. If you don't have the requisite knowledge yourself, work with a specialty consultant. Lower the ceiling over the reservation desk and check-in counter. Create a calm and quiet "oasis" by wrapping the walls in acoustic covering or panels. Use an acoustic underlayment throughout a space with tile or wood floors. 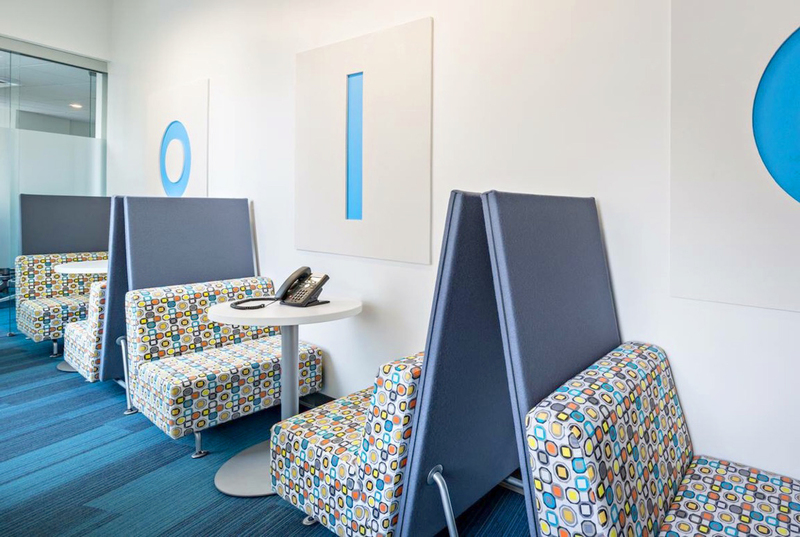 Mitigate the effects of ringing telephones and elevator bells, even the buzz of people talking in the bar with acoustic panels, artwork, carpet, and upholstered seating. Varying heights will help to break up sound waves. Add baffles or "wings," as well as curved sections. Add a barrel vault for unique decor as well as sound control. The goal is to deflect those sound waves and prevent echoes that occur in large, high-ceilinged space. 4. Install absorptive panels on a flat ceiling. 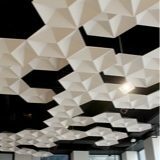 Sheathe the ceiling with cork or bamboo; float panels of carpet or textured fabric in some areas; use banners or absorbent sheets hung vertically from the ceiling. Add stylish lighted sections to distinguish various functional areas below. 5. Use sound-absorptive materials vs too many hard surfaces. Although any fabric is better than hard, slick surfaces, wool will absorb more noise than silk. Soft and thick is generally better than thin. 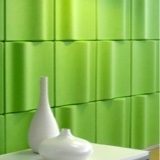 Recycled PET (plastic) is extremely effective, and is used for sound-suppressing panels that can attach to walls or serve as modular divider walls. Other materials commonly in use include fiberglass, foam and cotton. 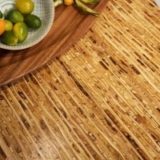 Natural cork and sustainable bamboo are both naturally sound absorptive. 6. Break up floor areas with different surfaces. Take a page from airport terminal planning books: visually designate traffic lanes and service areas with hard flooring, substituting softer carpet in seating areas and lounges. Consider repeating the "pattern" on the ceiling as visual signage to direct traffic. 7. 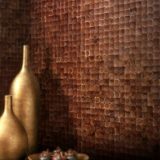 Remember that the wall surface represents the largest square footage of any room. Use sound-absorbing panels on at least 10 to 20 percent of the space. It can be artistic, colorful and textural. Freestanding acoustic partitions are a good way to break up space, add a novel touch, and address the "football field" feel of overly-large spaces. 8. Incorporate textures and fabric freely to "soak up" some of the noise. Use fabric art rather than mirrors and framed pieces with large areas of glass. Design wall niches to hold art and sculpture instead of allowing long expanses of wall on the same plane. Break up soaring expanses of window glass, no matter how spectacular the view, with columns, drapery panels or hanging decorative banners. Employ noise reduction panels or sound-absorbing materials as veneer at registration counters, near elevator banks, and along long hallways. Carpet the floors where possible; it will work wonders, both for interest and for quiet. 10. Consider modern "sound masking" or white noise systems. As counterintuitive as it might seem, the background "hubbub" can be soothing rather than distracting. It also helps people feel secure when sharing information at the desk or engaging in one-on-one conversation. Check the Noise Reduction Coefficient of materials you consider using. Rated between 0 and 1, a higher rating means that more sound is absorbed rather than being reflected back out into the room as noise. Look for ratings between .25 and .85. This is a perfect way to use movable sound-insulated partitions. Reading Rooms and child-friendly areas might have plush carpeting, upholstered walls, visually stimulating but sound-absorbing screening, and a dropped ceiling. Soundproofing is especially important in a business center where both visual and audio distractions must be minimized. 13. Eco-friendly materials are in. Opt for low-impact, sustainable, and energy-efficient products whenever possible. The materials are readily available - many of the newer synthetics and recycled raw materials are LEED-certified. 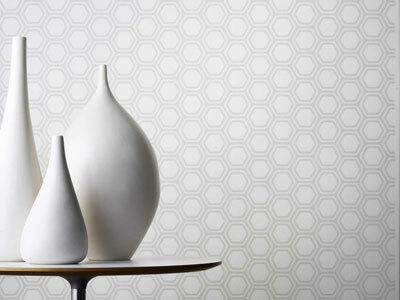 Remember the principles: soft to the touch, textured, with lots of small surfaces. 14. Tailor your solutions to the clientele. A boutique hotel in South Beach might warrant a somewhat louder, livelier ambience than an inn in a resort location frequented by seniors. But you'll still want to stifle those echoes! Remember that there are many choices in addition to traditional carpet, upholstery, and drapes. 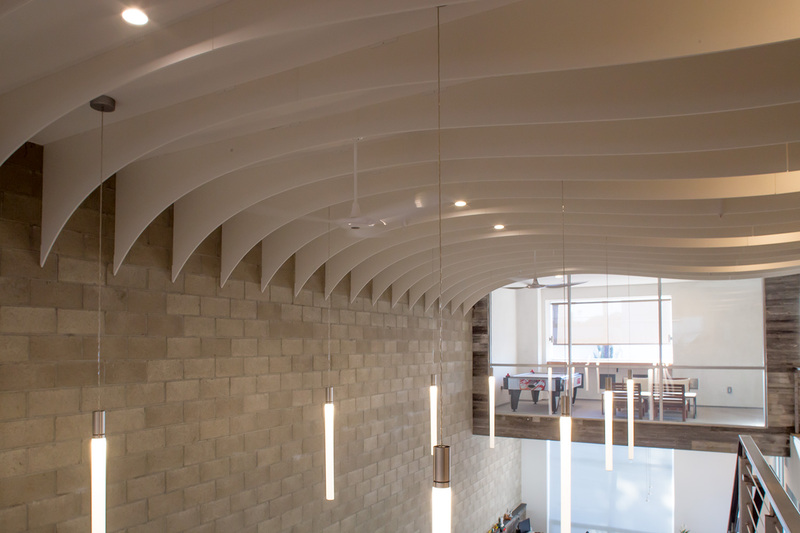 New age materials, even for ceilings, meet acoustic goals with great style. In restaurants and lounges, workout rooms and work centers, hallways and guest bedrooms. All you'll hear will be the compliments and the approvals. Sound principles (pun intended) are employed to tailor noise levels to specific needs; there are many modern ways to do just that. The science of sound control has advanced greatly over the years, but scientists today cannot say for sure whether the perfect acoustics at the site were by design or just a happy accident. The science has, however, been able to explain how it works. Today it's possible to select and specify the materials that effectively suppress low-frequency noise and improve audibility of higher-pitch human voices.